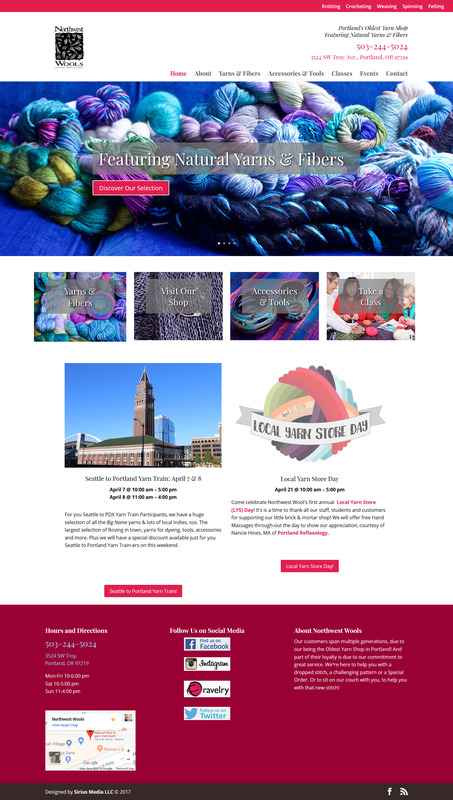 This client needed something mobile friendly and more usable than the old site. 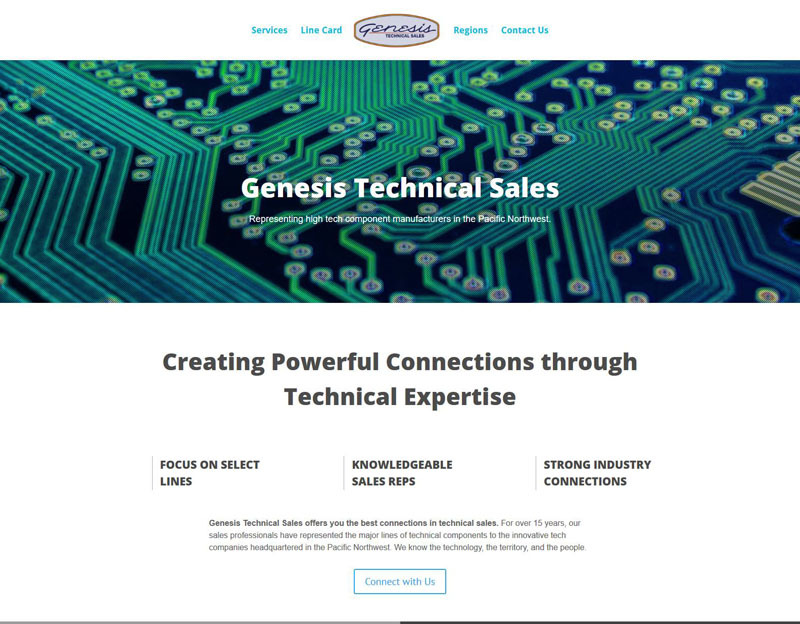 An international business, they needed to impress major tech component manufacturers looking for sales reps. This fast loading one page site answers all their needs with a bold mobile friendly format. This project was particularly special to me. Wendy Mitchell is my former boss from OHSU Center for Women’s Health who became a good friend and invaluable mentor. 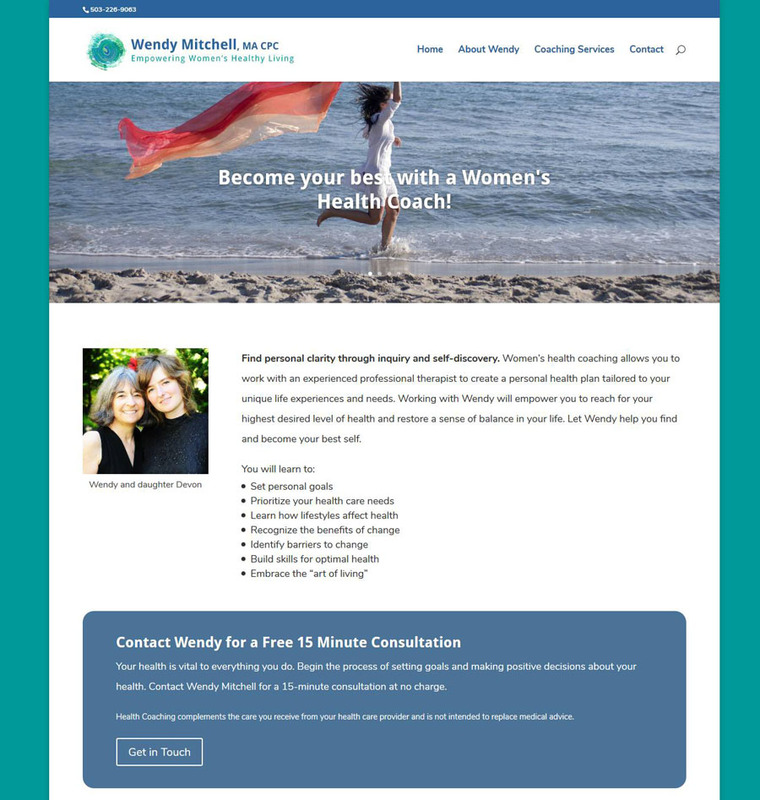 Her women’s health coaching business needed an update to refresh the look of the site and strengthen its online presence. This simple site allowed her expand her outreach, update the information and make the site mobile-friendly, a key factor in a practice that offers advice over the phone. Finding the right imagery created an inspiring experience that reflects the essence of Wendy’s approach to wellness. Dr. Mary Mandeville had a unique situation. For years her practice had centered on providing chiropractic care for animals. Although she loved working with dogs and cats, now she was ready to treat people again. We got to update her logo (one of my favorites) to include the human element and express her holistic approach to wellness care. Her website became mobile friendly, and features new appointment calendars for both people and pets. Cynthia Callaway was restarting her business after a break. 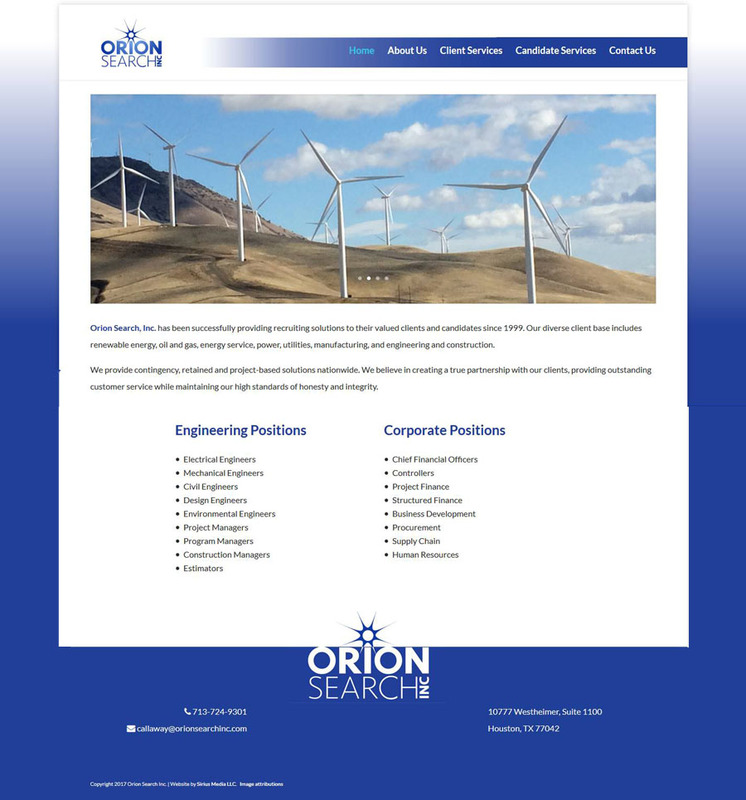 She needed a new look to reflect her fresh start recruiting execuitves for the energy industry. Working with her logo designer, we created a strong and shining statement about her recruiting skills. The site is mobile friendly and features customized contact forms for both applicants and employers.